ATOP Fast-Ethernet and Gigabit Managed Switches obtained NEMA TS2 certification! NEMA TS2 is a standard for traffic control assemblies, such as traffic lights, emergency road condition signs and walk/don't walk signs. 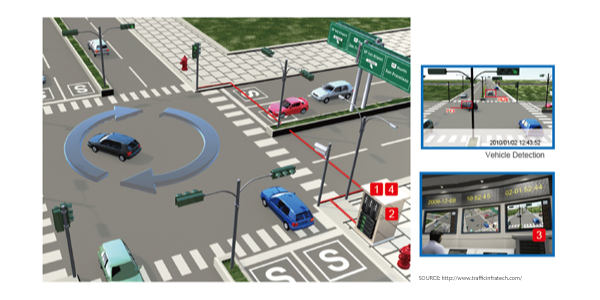 It is a fundamental standard for all devices that are to be used in smart cities in traffic management applications and in ITS (Intelligent Transportation System). In our continuing endeavor to bring to our customers Industrial Networking products that have a wider range of Hardware platforms that are rich in features we are proud to announce an additional certification obtained by our Gigabit and Fast-Ethernet managed Switches. NEMA TS2 is a standard for traffic control assemblies, such as traffic lights, emergency road condition signs and walk/don't walk signs. It is a fundamental standard for all devices that are to be used in smart cities in traffic management applications and in ITS (Intelligent Transportation System). The standard defines minimum requirements for resistance to high/low temperature, high humidity, vibration, and mechanical shock. For any enquiry, please visit our website or contact your ATOP representative.